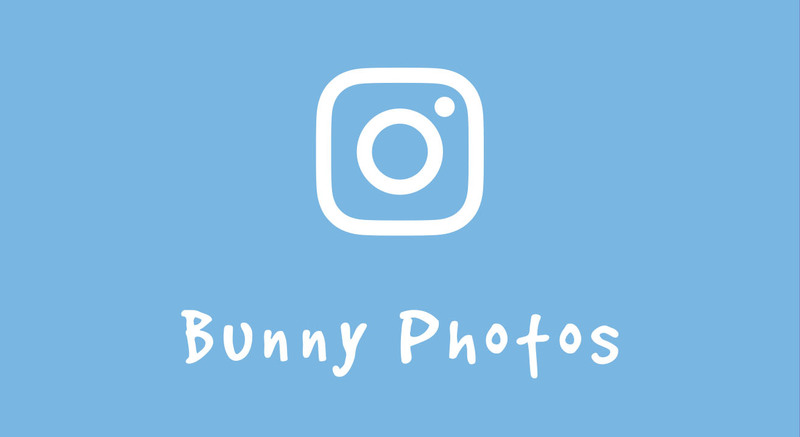 This summer 23rd June -29th September, Bunnies are taking over Cudworth in Barnsley again. Running from the end of June to the end of September 2018 the Cudworth Bunny Trail has returned for its second year. 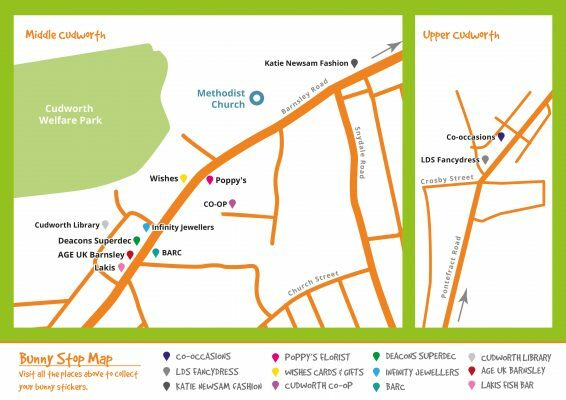 Children and their parents are invited to follow their bunny maps to track down a series of different ceramic bunny sculptures hidden in twelve Cudworth shops and venues. 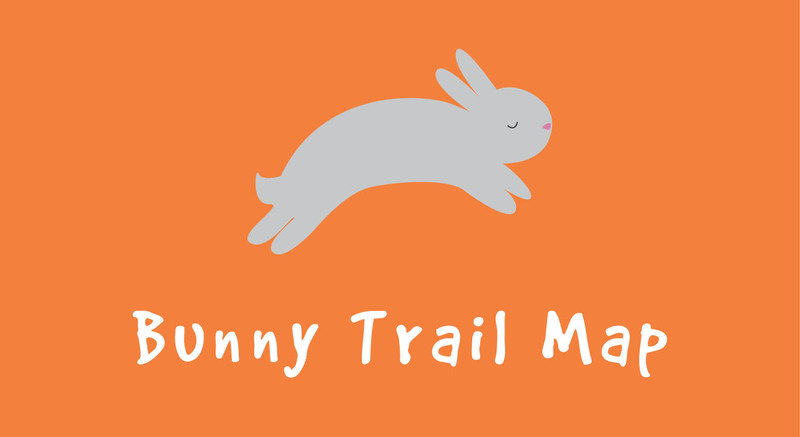 Visit any Bunny Stop to pick up your free map then pop into each place on the trail to get your special bunny stickers. Collect all twelve stickers and then visit Wishes to collect your free treat bag. 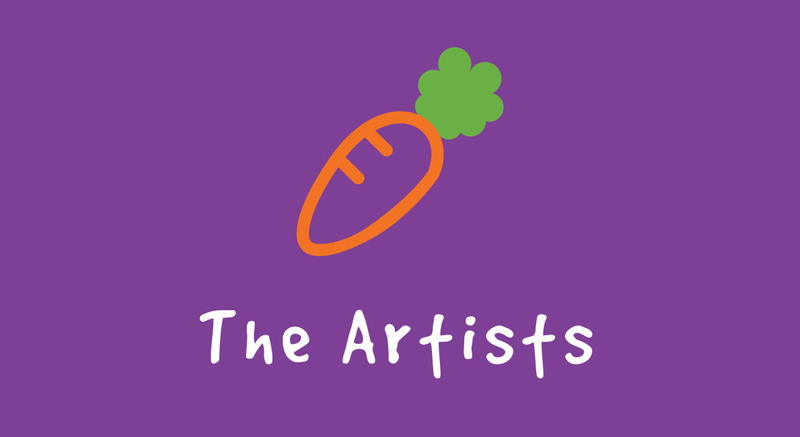 This year the bunnies have been painted by different artists and are hidden all over the village, so we challenge you to find them all. A list of the Bunny Stops is shown below..
Children under 14 must be accompanied by a responsible adult. Children under 14 without adult supervision will not receive a sticker. Whilst taking part in the Cudworth Bunny Trail please be aware of your surroundings and be careful crossing roads. Cudworth Businesses & Community Together take no responsibility for injury to members of the public when participating in the Cudworth Bunny Trail. You agree that taking part in the Cudworth Bunny Trail is at your own risk, and it is your responsibility to maintain such health, liability, hazard, personal injury, medical, life, and other insurance policies as you deem reasonably necessary for any injuries that you may incur while doing the Cudworth Bunny Trail. The information on this website is provided free-of-charge, and you acknowledge that it would be unreasonable to hold us liable in respect of this website and the information on this website.